Note: It is difficult to review A Legacy of Spies without reference and spoilers to The Spy Who Came In From The Cold and Tinker, Tailor, Soldier, Spy. While I try to minimise them, needless to say, if you haven't read them, they are still amazing even if what is people preempts your reading. With A Legacy of Spies John le Carre returns to the scene of the novel that put him on the map and led to his exit from the secret world he has then documented for the next forty four years. While the much publicised return of George Smiley is making the headlines, the story is set upon the shoulders, in my opinion, of one of his most interesting characters, Smiley’s right hand, Peter Guillam. Guillam is happily living out his retirement on his family’s farm in Brittany when he is ordered to return to London, the Circus is calling, his past has reared its head. Guillam reports to his Service’s wonderfully discreet new residence in Vauxhall, right next to the bridge, a short walk from the station (85 Albert Embankment, Lamberth, SE1 7TP if you’re wondering). He is confronted from the Service’s lawyer, Bunny, and the chief of History, Laura. It would seem that a lawsuit has been brought against the Service by the children of Alec Leamas and Elisabeth Gold, whom we last saw, sacrificed at the Berlin Wall at the end of The Spy Who Came In From The Cold. Innocent blood has be shed and someone needs to pay. The Service, upon delving into the archive, has found that all the reporting for Leamas’ mission to East Berlin and Operation Windfall, relating to a high placed Stasi source run by Smiley as Head of Covert Ops, has disappeared. Guillam, being the only survivor at close hand, is brought to be hung out to dry as responsible for the deaths. Guillam, an old hand at all this, tells us, in first person, about the holes in the tales spun around Windfall, Leamas, Gold and an agent by the name of Tulip. Guillam is taken to the safe house that Windfall was run from and presented with the documents that he and Simley created to obscure Windfall’s progress from the mole in The Circus, Head of Joint Steering, Bill Haydon. Bunny and Laura are quite happy to pin everything upon Guillam. Guillam remembers all the machinations around running agents Mayflower and Tulip in East Berlin. The steps that lead to Windfall, its collapse and of Leamas’ “dangling his coattails” and being picked up by “The Opposition”. The cost of the operation in blood is high and Guillam, an old man looking back, knows that his hands are not clean, but he is not going to turn on his own and by his own, he doesn’t mean The Service. A Legacy of Spies is timely in that we stand on the brink of compounding the mistakes of the past and now, by thinking we can do it better. le Carre has brought Smiley back to try and remind everyone that we really can’t. Regardless of the wider picture, it is delight to spend time with Peter Guillam again, hopefully now he can see out his days on his farm and that Monsieur le General doesn’t have another letter from London for him. 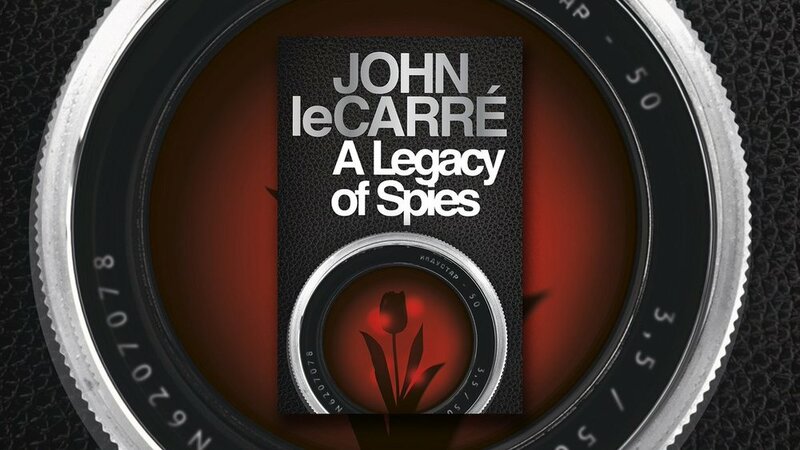 A Legacy of Spies is out now, published by Penguin Viking.